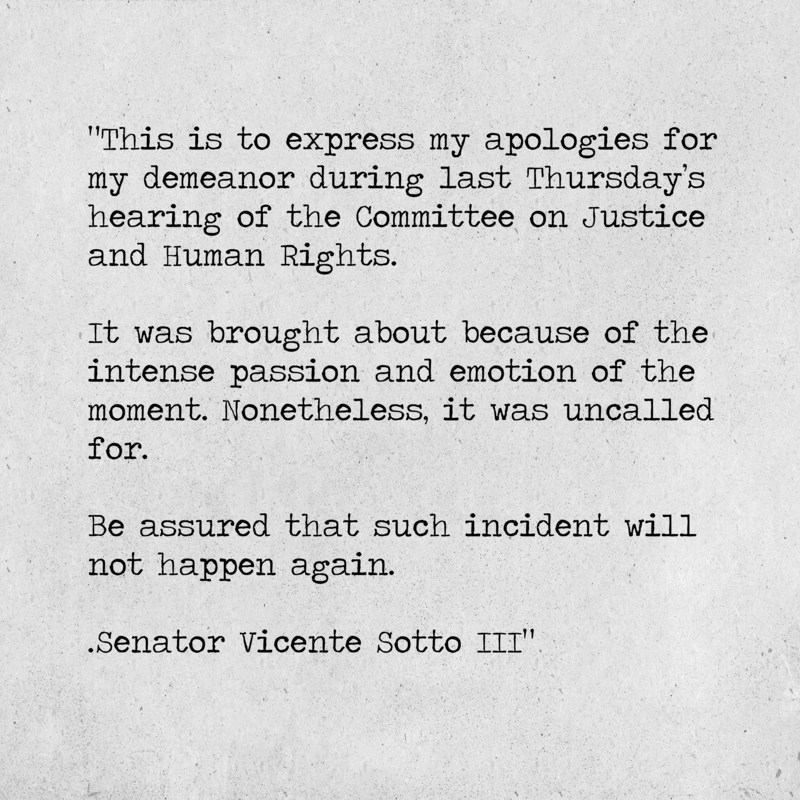 A lot has happened the past few weeks in the Senate. 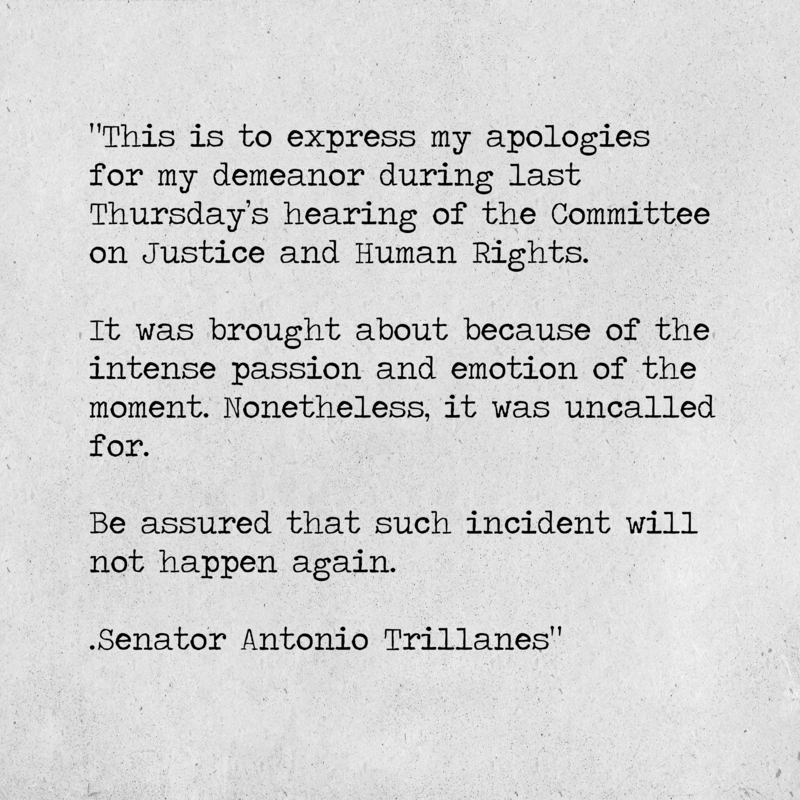 One of them was remarkable: Senator Antonio Trillanes actually went and apologized for something! This may never, ever happen again! 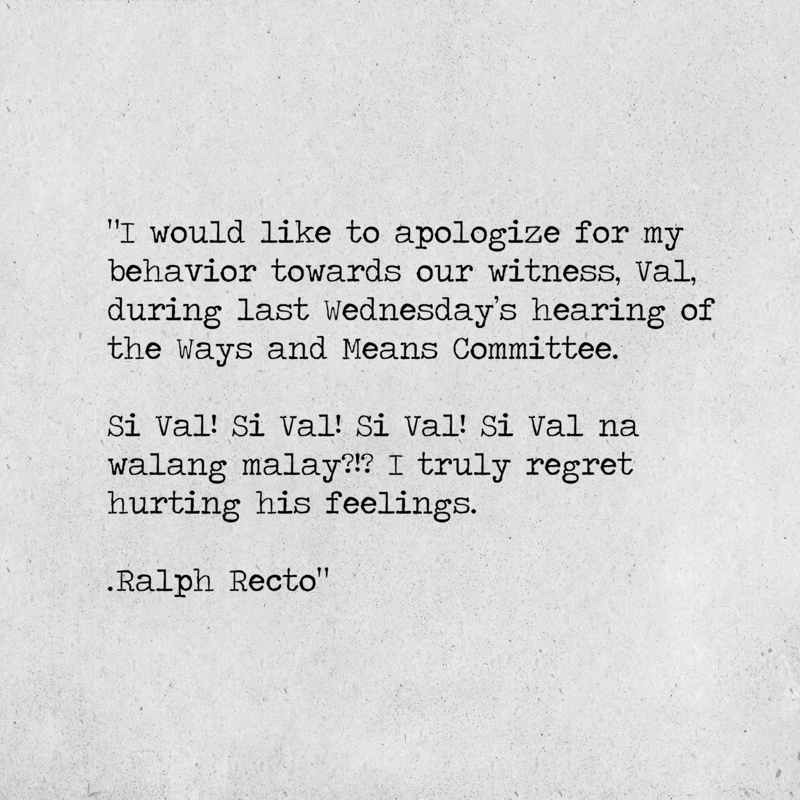 Well, we feel that a lot of other members of the august halls of the Philippine Senate also ought to be making their apologies in the near future, as well. 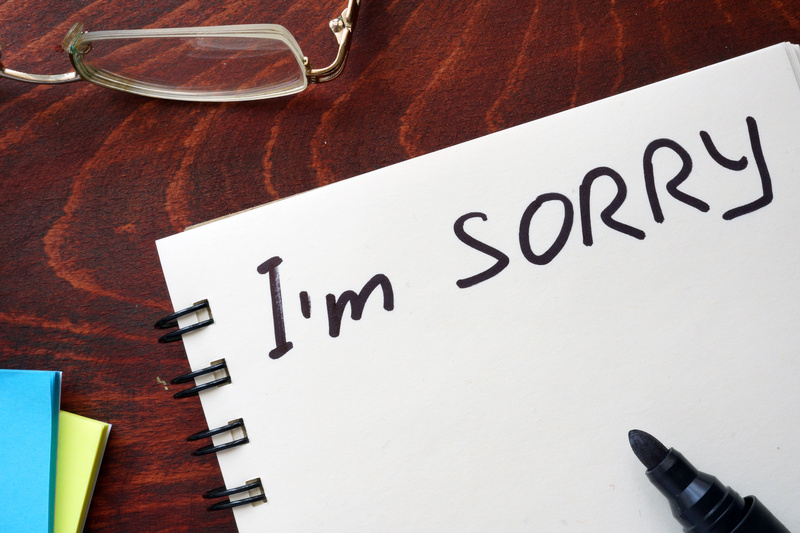 How would their letters of apology look like? We have 8 examples here for your perusal. We might have gotten this wrong. 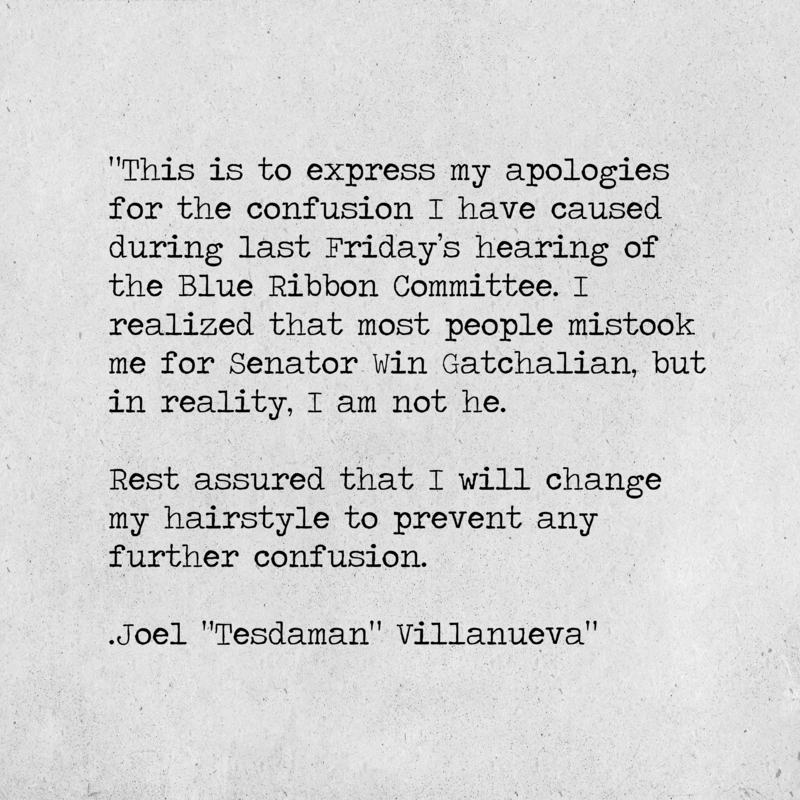 It would be easy to make fun of the good Senator’s English, but it wouldn’t be sporting. There are, however, certain aspects that are simply fair game. 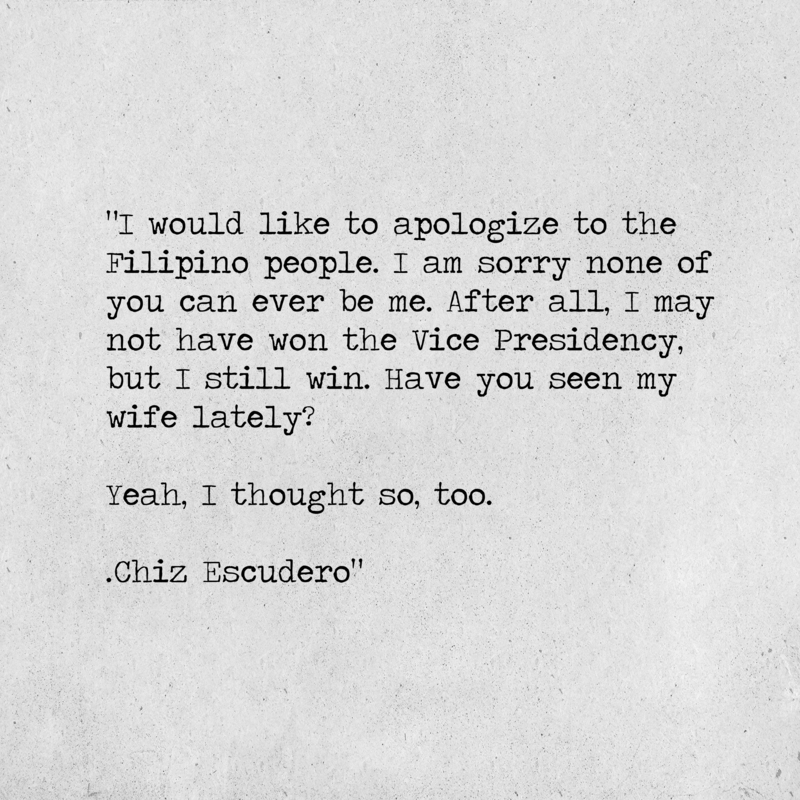 Chiz is sorry – for us. 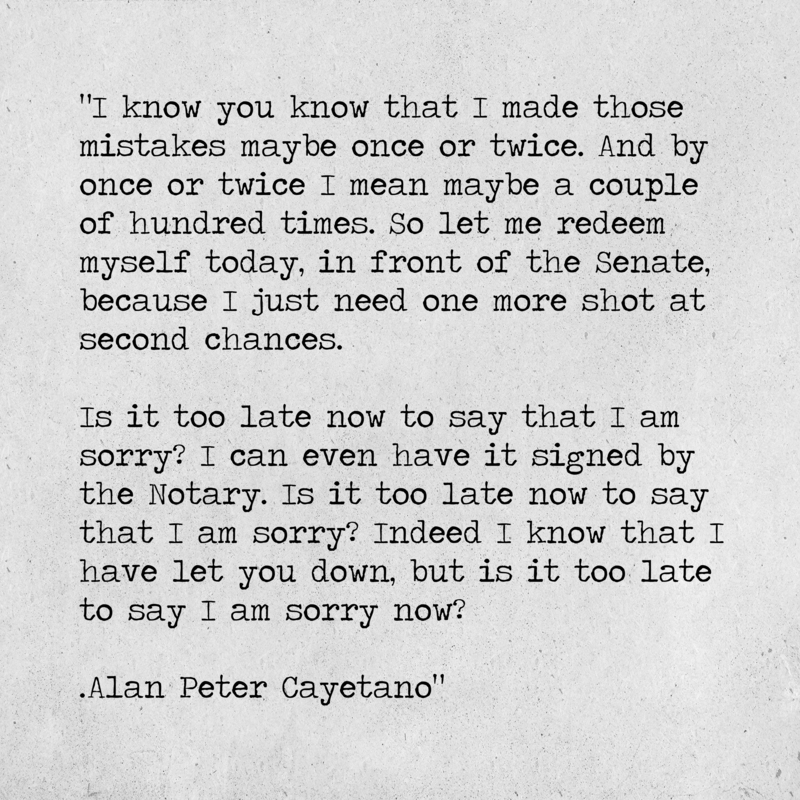 In the tradition of #APCHariNgMgaSawi, Senator Alan Peter Cayetano muses on the timeliness of his apology. 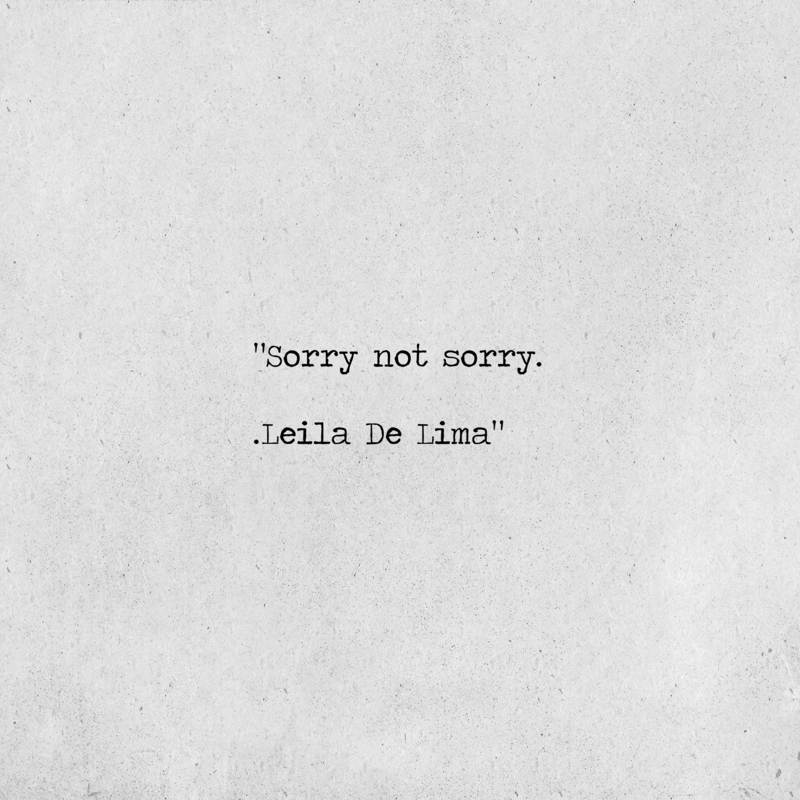 Even shorter, but much less sweeter. 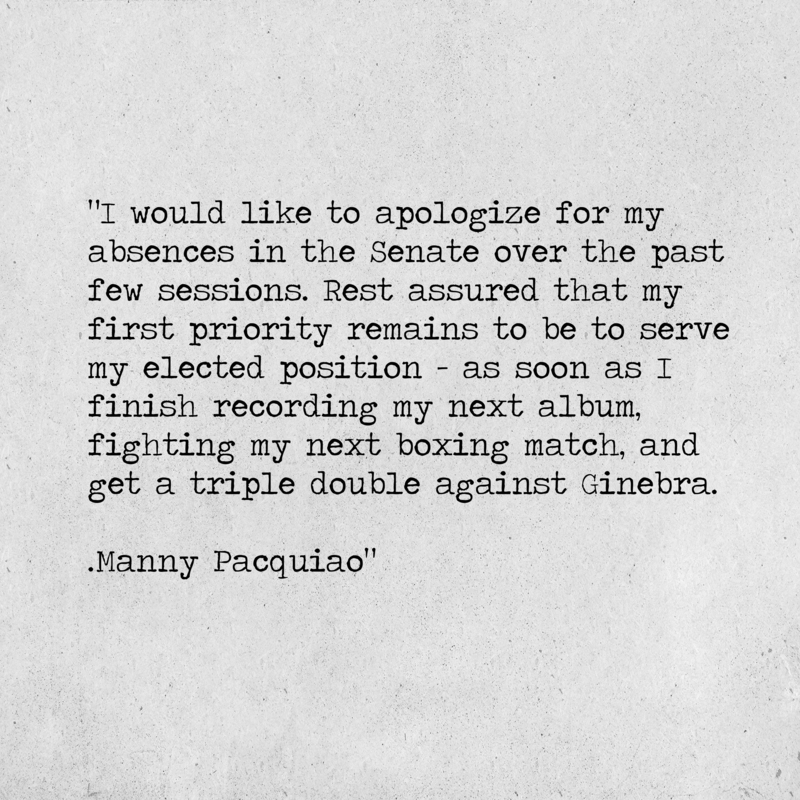 How would the rest of our Senators write their apology letters? Tell us in the comments section!